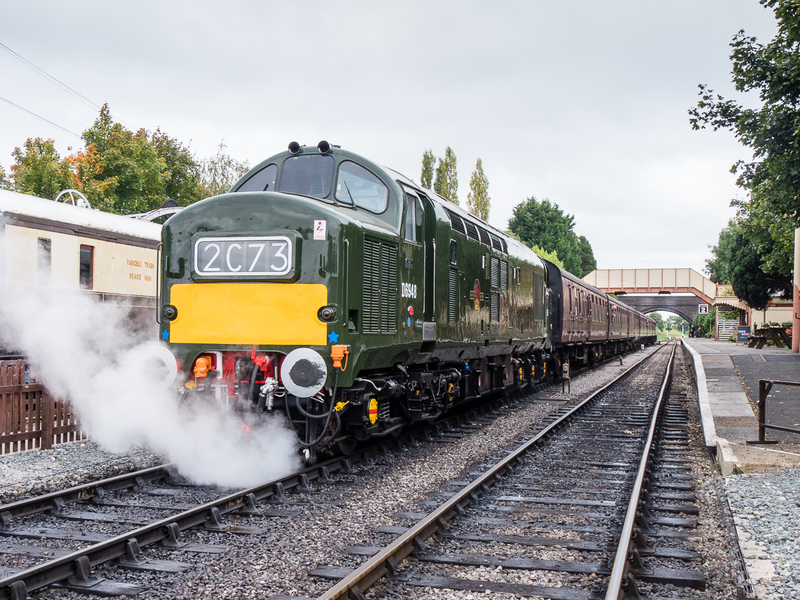 Two more images of D6948's first day steam heating trains on 8th October: D6948 waits to leave Toddington with its first ever steam heated train - the 09:30 to Cheltenham Racecourse on Saturday 8th October 2016. 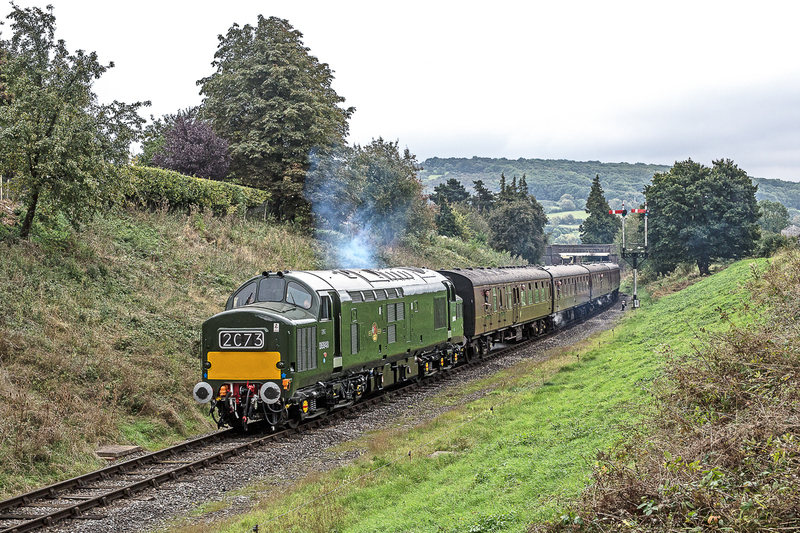 Photo: Peter Smith D6948 leaving Winchcombe and approaching Greet Tunnel with tell-tale wisps of steam from the coaches on 8th October 2016. Photo: Malcolm Ranieri.